This budget-friendly, freezable recipe is a favorite at our house! 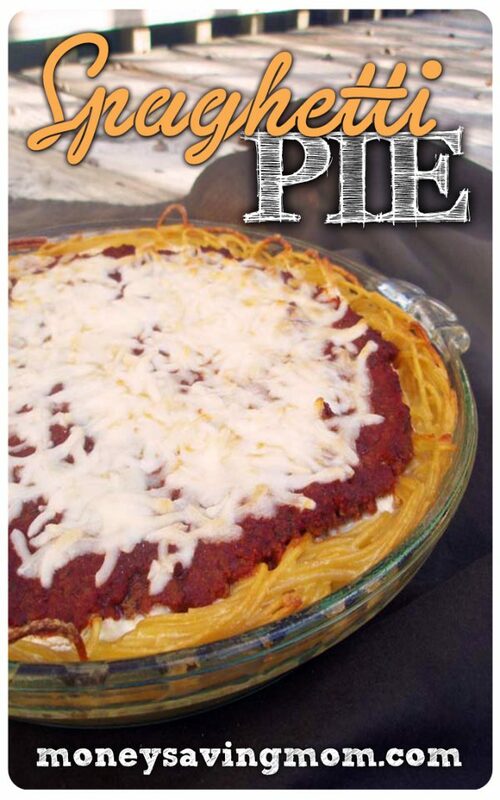 It’s a unique twist on pizza and spaghetti that’s simple to put together and can be made up ahead of time. I often serve this when we have company with small children… and it always goes over well.